State Key Laboratory of Automotive Simulation and Control, Jilin University, Changchun 130022, China. 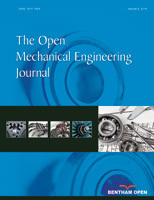 In this paper, a method for reducing unspring mass as well as improving safety and ride properties of vehicles driven by in-wheel motors will be provided. To begin with, the advantages of vehicles armed with in-wheel motors will be described, after which some drawbacks of this idea will be studied. Then, to getting a better analysis, quarter car model will be studied in frequency domain. Gain of body acceleration and wheel dynamic load, which can be equal to ride property and safety performance respectively, will be compared. Finally, an idea that makes the drive motor suspend will be proposed for enhancing the two properties and then a LQG controller will be provided for further optimization. Through the comparison in time domain and frequency domain, one can come to a conclusion that vehicles driven by suspended motors not only simplified the structures but also can be used as an absorber for vibration reduction.